Today, 94% of buyers conduct their own online Internet home search. To ensure that your home is noticed by the largest number of potential buyers, we use many internet marketing techniques to push your home listing to popular real estate websites across the Internet for maximum exposure. I understand that you would like to sell your home quickly and for the highest possible price. Our Home Selling Strategy combines the latest online technologies with proven sales and marketing methods to help you sell and achieve these goals. We will prepare a detailed analysis of recent sales, current competition and other market analysis to help you determine the best possible list price for your home. To receive the best price possible in the shortest time-frame is the goal. Therefore, it is imperative your real estate agent have their finger on the pulse of your specific neighborhood, AND combines these facts and figures with the unique selling features of your home. As part of our pricing strategy, we will tour neighboring homes currently on the market to compare overall condition, home features, and finishing qualities – much like your potential buyers will do! 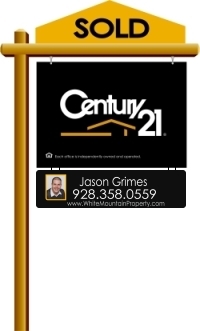 Our online marketing skills are unmatched in the White Mountains Of Arizona area and will assure your home’s maximum marketing exposure. We work diligently to follow each selling step with precision to attract potential buyers to your home listing. This includes taking high quality images of your home, compiling all your listing information and adding it to the multiple listing service, adding virtual tours on White Mountain Property, advertising your property online through social media networks, and all traditional techniques (newspaper, flyers, postcards). Let's Get Started Immediately, Im Ready Are You? When you choose me as your real estate agent you will get an honest, dedicated, ambitious over achiever. I work very hard with clients and you can expect great communication, professional attitude, and reliability. Tell Me About Your Home?